Frank and Mary Jane Phillips. 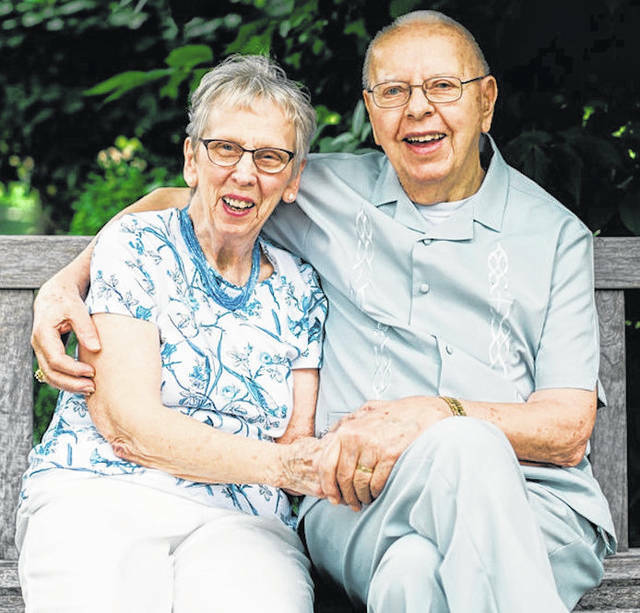 Frank and Mary Jane (Hoak) Phillips celebrated their 65th wedding anniversary. A dinner was held at Das Essenhaus in South Bend, Indiana. The couple was married Aug. 2, 1953, at First Presbyterian Church in Mount Gilead. Frank is retired from Galion Iron Works and Mary Jane is retired from Dr. Charles Skinner’s office. They have one daughter, Brenda. https://www.galioninquirer.com/wp-content/uploads/sites/38/2018/08/web1_Phillips-6.jpgFrank and Mary Jane Phillips.